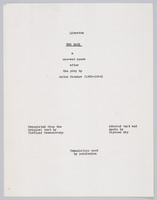 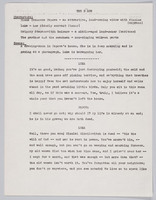 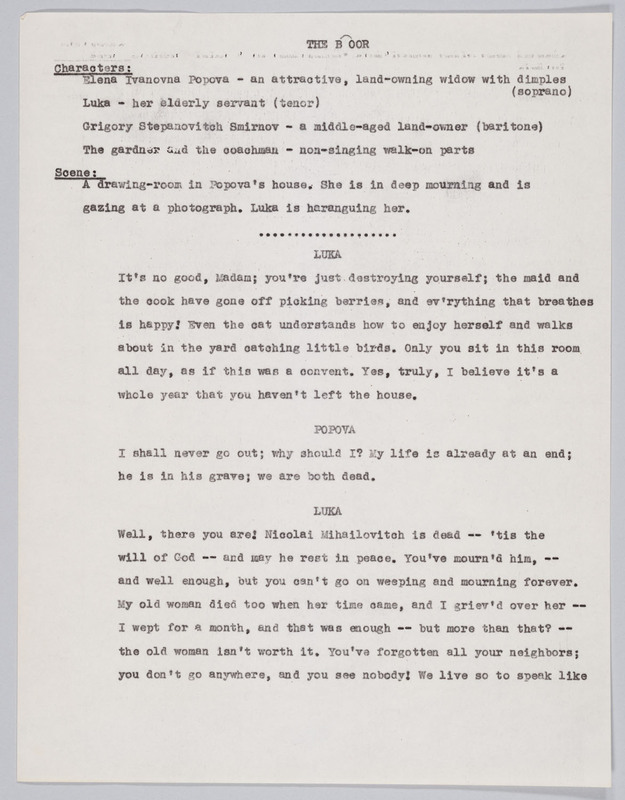 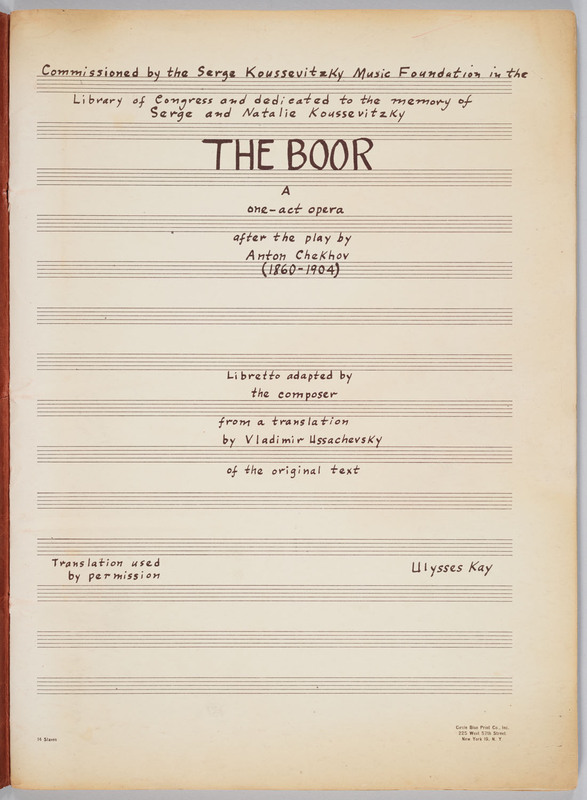 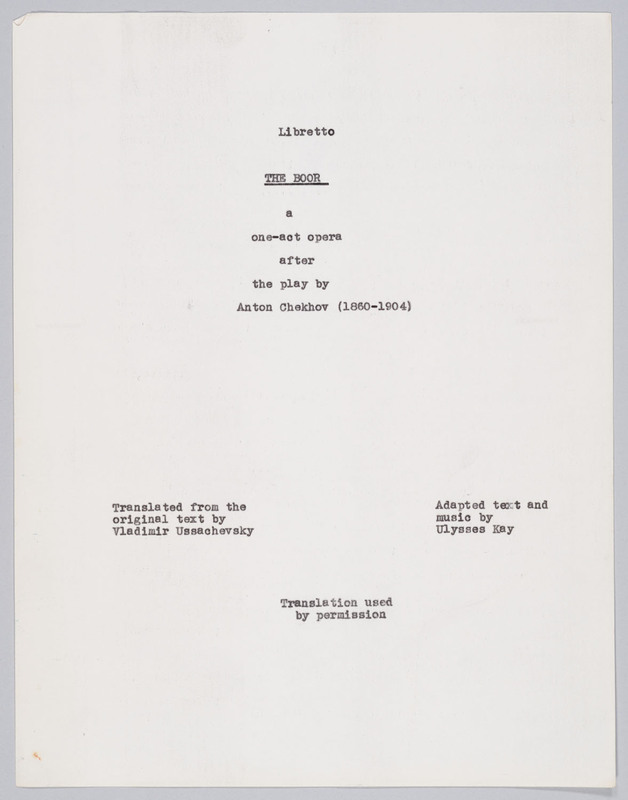 "The Boor," an opera in one act, is based on a play by Anton Chekov, with the libretto created by the composer from a translation of the original made by Kay's fellow composer Vladimir Ussachevsky, who had joined the Columbia Music Department faculty in 1947. 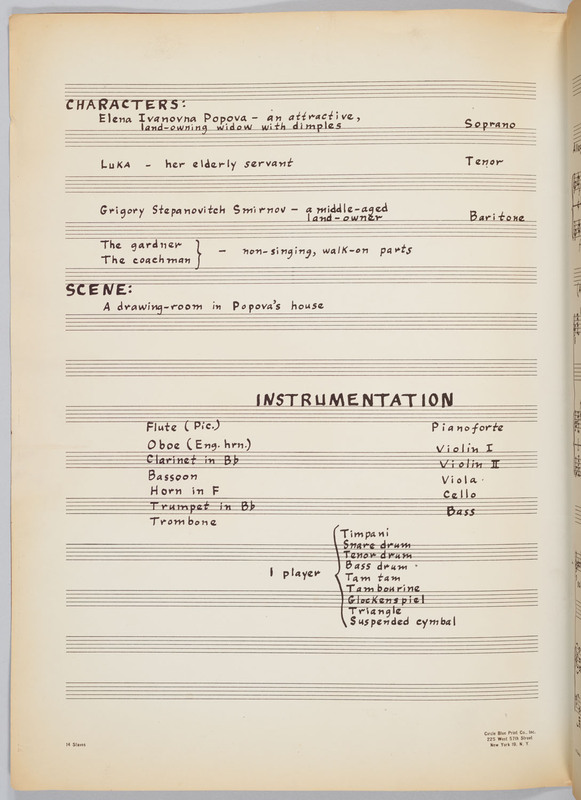 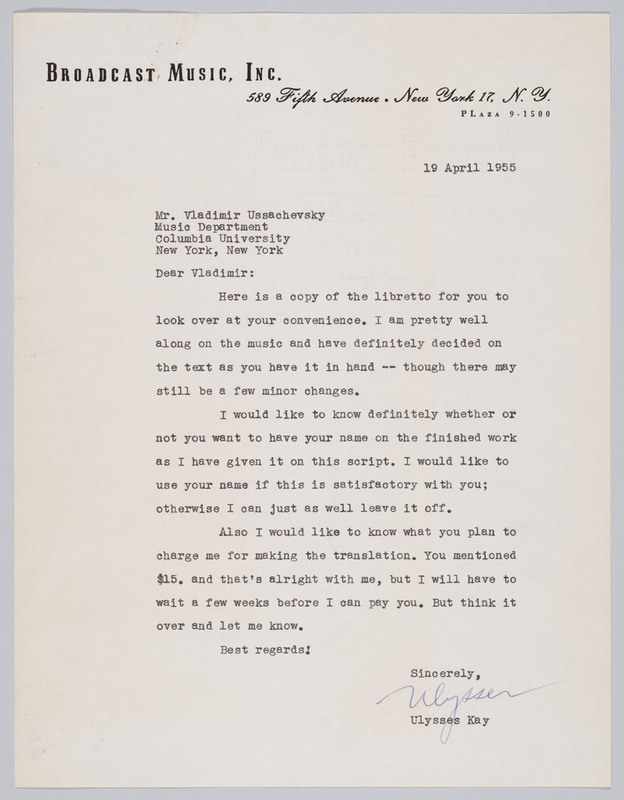 Scored for soprano, tenor, and baritone soli with orchestra, the work was commissioned by the Koussevitsky Foundation of the Library of Congress, and is dedicated to the memory of Serge and Natalie Koussevitsky. 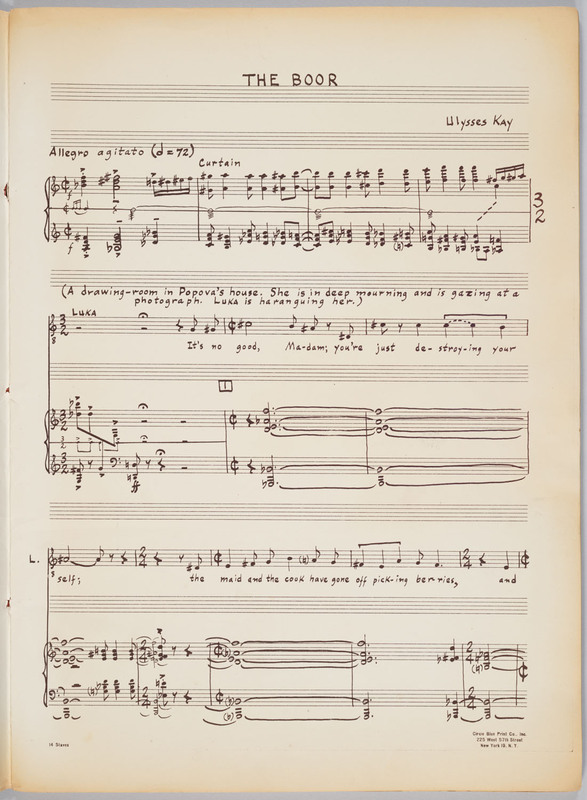 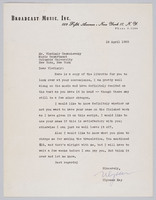 The opera received its premier in a concert performance on April 2, 1968 at the University of Kentucky, Lexington, KY.